He was a 17th century Einstein, who reduced nature’s chaos to a single set of laws and revolutionized the thinking and outlook of his age. But in the midst of his astonishing breakthroughs in physics, optics, and calculus, Isaac Newton was also searching out hidden meanings in the Bible and pursuing the covert art of alchemy, or the changing of base metals into gold. With vivid docudrama scenes starring Scott Handy (Henry VIII) as Newton, NOVA recreates the unique climate of late 17th-century England, where a newfound fascination with science and mathematics coexisted with extreme views on religious doctrine. Unknown to most, Newton shared both obsessions. Besides revealing his secretive and vindictive personality, this NOVA special shows how he made the bold intellectual leaps that transformed science, such as the universal law of gravitation. 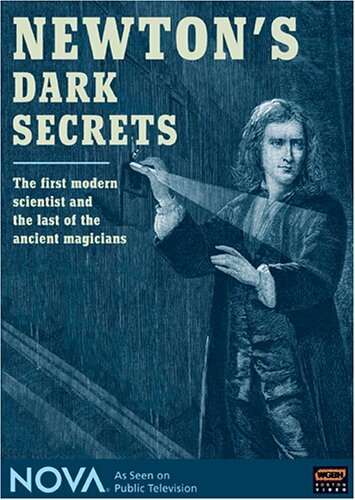 Newton’s Dark Secrets also recreates one of Newton’s little-known alchemical experiments using his secret recipes, which have only recently been deciphered. With these lively glimpses of a brilliant and obsessive mind, NOVA explores how Newton became the giant on whose shoulders all later scientists would find a place to stand.